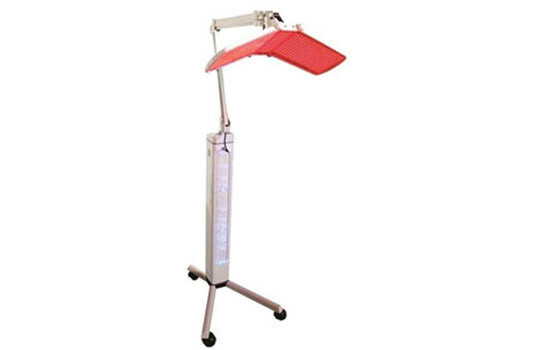 Utilizing high powered LED lights, correct skin imperfections including redness reduction, skin tone correction, skin clearing and signs of aging. Specific wavelengths are used depending on your skin concern which will stimulate and activate cellular processes and different responses in your skin. 1. Good results after applying serums like Vitamin C, Whitening, Hyaluronic, and various hair serums. Slimming after applying cellulite gel or oil. 2. Extraordinary results for Pigmentation, Acne, Skin Lightening, Hair Loss, etc. Treatments. 3. Non-risk of burning with Safe optical technology. 4. High power SMD LEDs, pure light and enough energy. 5. Large treatment area within short-time therapy. 6. No need for special care after treatment. 7. For any skin type, no side effects. 8. Easy to use, no need of professional operator. 9. Comfortable, non-invasive and no downtime. 10. Stable and continuous work; no any other special consumable materials. 11. A wide range of applications for clinics or beauty salons.